Anna María's Danish and Icelandic background, her attention to detail, as well as her passion to delight the senses with modern design and craftmanship, mean her jewelry is beautiful, timeless and one of a kind. 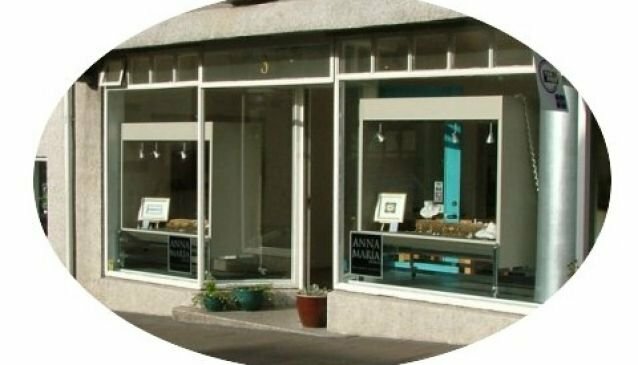 Anna María opened her workshop in 1986, meaning she has been designing her pure, simple, elegant design in gold and silver for more than twenty years. Her products soon became extremely popular for their modern/classic design. She designs items for both men and women in a number of metals and Icelandic minerals, as well as precious stones. Her store is located on Skólavörðustígur, the 'high street' of Iceland, near many other high-design stores, and just a stone's throw away from the major sights of Reykjavik.